"I am" Poem with Symbolism from "A Christmas Carol"
Teaching symbolism with "A Christmas Carol?" 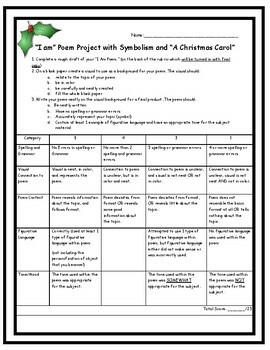 Why not assess your students understanding of the symbols in "A Christmas Carol" by having them create an "I am" poem? Super fun and creative way for students to interact with symbols from the novel and complete a writing assignment!